'IMO 2020' is going to usher in a mammoth sea change for the global petroleum market. On January 1, 2020, the International Maritime Organization (hark, IMO) - the agency that regulates the global shipping market - will enforce a global sulfur cap of 0.5 percent on marine fuels. While this is this going to have the biggest impact on fuel oil and middle distillates, it is also going to influence the crude flows of heavy sweet barrels. In fact, it already is. Heavy sweet crude is going to be increasingly in demand in 2020, as refiners look to pivot towards producing low sulfur fuel oil. (See a particularly good rant here on the topic from @Big_Orrin on Twitter). Lest we forget, lighter crude yields less fuel oil, while sour crude raises the sulfur content. The challenge for the global market is going to be getting its hands on heavy sweet crude. According to our ClipperData, heavy sweet crude exports make up just over 1 percent (!) of total waterborne exports, and have been on the wane in recent years. Of these exports, nearly two-thirds come from West Africa. Angolan Dalia is the leading grade, but there are also exports of Lokele from Cameroon, Baobab from the Ivory Coast, Yombo from Congo and Ebok from Nigeria. Doba, which is produced in landlocked Chad, is the second-largest export, and hits the global market via loadings from Cameroon. 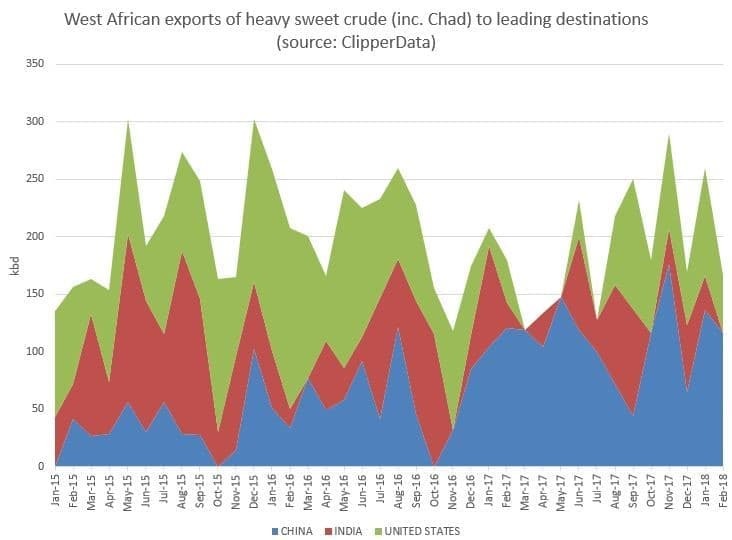 South America is the second largest source of heavy sweet crude, but is a considerable distance behind West Africa, only accounting for about 12 percent of global heavy sweet exports. These barrels come courtesy of Argentina and Brazil. Related: Which Oil Major Has The Best Investment Strategy? 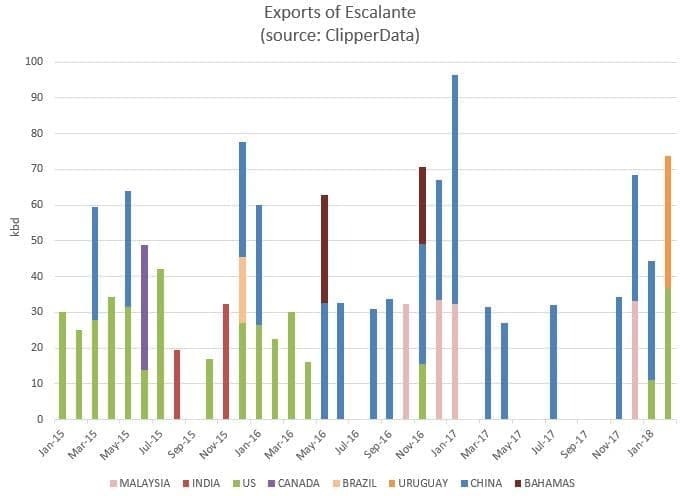 Argentina keeps a lot of its heavy sweet Escalante crude within its borders, but of the barrels that leave, a similar trend exists as with WAF grades: lesser flows to the U.S. in recent years, and more to China. As U.S. refiners increasingly blend domestic light crude with heavier barrels to achieve a preferred crude slate, China is firmly focused on pulling in as much heavy sweet crude as possible - accounting for nearly a third of all global receipts. Post Tillerson: Is The Iran Nuclear Deal At Risk?